2. Does a Trust Have a Federal Gift Tax Exemption? A trust provides individuals with the opportunity to safeguard valuable assets over an extended period of time, often as part of a larger plan to eventually bequeath them to a loved one or close associate. Through the use of a trust, an individual can establish a set of legal protections for their assets and ensure that they are distributed as planned. In many scenarios, a trust is used to streamline asset distribution following the death of the grantor, or the individual responsible for creating the trust. In situations such as these, a trust can also help reduce the impact of inheritance or estate tax regulations. That being said, fully understanding the tax rules associated with a trust requires a detailed understanding of the particular type of trust used and the intended actions of the beneficiary, or individual receiving assets from the trust upon the death of the grantor. 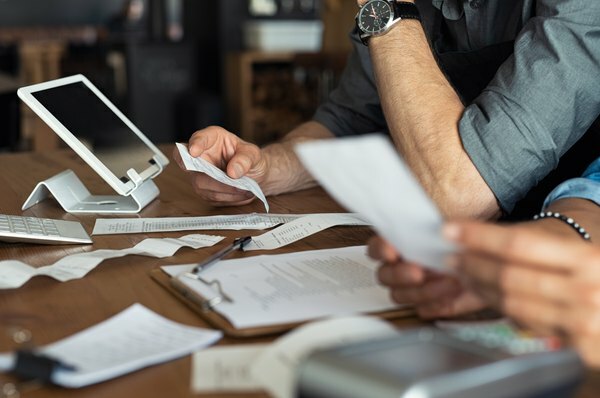 Fortunately, getting started exploring a trust and determining tax liability rules and trust tax rates can be accomplished relatively easily. Both revocable and irrevocable trusts include their own unique tax requirements. Because the grantor of a revocable trust still maintains ownership of the property in the trust, they will be responsible for paying taxes on income derived from it until their death. A revocable trust provides a degree of flexibility and customization for grantors. During the lifetime of the grantor, the terms and provisions of the trust can be altered at will to ensure that it matches their needs and expectations. A trust can also be canceled entirely by the grantor after it has been established. Once the grantor has initiated the trust, a trustee must be appointed who will oversee daily operations. The trustee receives all directions and mandates from the grantor and is responsible for executing them. The grantor also has the ability to specify whether the trustee should immediately distribute assets to beneficiaries or continue to manage the property in question following the grantor's passing. If desired, the grantor can name themselves trustee of the living trust until their death. Throughout the lifespan of a revocable trust, it is not uncommon for the principal held within it to fluctuate due to appreciation or depreciation of the assets being held, as well as the expenses incurred through retaining a trustee. Principal values can also change significantly depending upon the actions of the grantor, who still has the ability to withdraw or contribute assets to the trust until their passing. Due to the privileges and flexibility offered to the grantor of the revocable trust, it perhaps should come as no surprise that the tax burden of the trust will fall back on this individual. Any income derived from assets within a revocable trust must be reported by the grantor of the trust as part of their regular income tax filing. The named beneficiaries of the trust are not responsible for any tax obligations attached to it due to the fact that the grantor will already have paid taxes on all items placed within the trust itself. To summarize, the assets placed in a revocable trust remain the full property of the grantor until their death. They can sell these properties, remove them from the trust or gift them to individuals as they see fit. When the grantor of the trust passes away, the status of the revocable trust shifts to irrevocable. At this time, both the control of the trust and the tax obligations associated with it will change significantly. An irrevocable trust can be created in one of two ways. If the grantor of the trust chooses to create an irrevocable trust during their lifetime, they will be actively choosing to forfeit ownership of specific assets and placing them under complete control of the trust and the trustee appointed to manage them. Alternatively, a trust may become irrevocable upon the death of a grantor who first created a revocable trust. In a situation such as this, the control of assets within the trust are dictated by the terms laid out by the grantor prior to their death. As mentioned previously, the grantor may choose to grant total control of asset distribution to the trustee, who will then ensure that named beneficiaries receive what has been allotted to them or continue to manage the assets as per the original instructions of the grantor. When a beneficiary assumes ownership of assets within an irrevocable trust, they are not immediately forced to pay taxes. Instead, tax regulations will only come into effect once distribution from the irrevocable trust begins. When a beneficiary chooses to withdraw assets from the trust, they will be forced to pay taxes based on an adjusted cost basis. For example, if a beneficiary receives a house as part of an irrevocable trust, the cost basis of the house will be "reset" to the moment they assumed ownership. Again, this is due to the fact that taxes have already been paid by the original grantor on the house when it was first placed in the trust. If the beneficiary chooses to sell the house, the sale price minus the adjusted basis will be used to evaluate their tax requirements rather than the original cost basis. The same rules apply for less tangible assets, such as stocks and bonds. It is also important to note that estate taxes do not apply to items held within an irrevocable trust due to the fact that the trust has become the effective owner of the assets rather than the individual who has passed away. Even though estate tax exclusions are quite high, establishing a trust can help stave off any potential risk of having to pay estate taxes. While assets are held within an irrevocable trust, the trust itself must file an annual tax return. Because of this, it is essential that the trust obtains a Taxpayer Identification Number – also called an Employer Identification Number – so as to as comply with federal laws. If you have any questions about a revocable or irrevocable trust, it is in your best interest to consult with a tax professional or financial advisor at your earliest convenience. The inherent complexity of a trust has led many individuals to seek out professional guidance in order to ensure that their assets are held securely for generations to come. Given the severe penalties that may come with an error in tax filing, trust owners or beneficiaries could benefit from additional insight into their reporting obligations from professionals in the field. Professional counsel is the best way to ensure that your trust achieves its desired outcome over the course of your lifetime and the lives of your loved ones. Investopedia: How Are Trust Fund Earnings Taxed?